For months I've been whining and complaining about the brutal South Florida heat, which feels even more brutal than usual when you're trying to entertain a toddler with asthma who just wants to run around outside at the park. For months I've been anticipating the days where it's at least mildly pleasant outside, enough to not feel like your insides are imploding at the very least, and it seems finally the days are here. At least in the late afternoon hours, once four o'clock hits. Before and after dinnertime, Ethan and I have been escaping the confines of this house which is still not redecorated or put together (in the slightest) since we moved back in. Our backyard, the park, it doesn't matter, so long as we're outside and able to enjoy the subtle breeze that means fall has arrived in South Florida. This is my favorite time of year. I found out I was pregnant with Ethan a couple of days before Halloween in 2010 and the month of October has felt like magic ever since. It's like fall and Halloween just took on some extra special, magical meaning since I had Ethan; something about parties and costumes and farmer's markets and just happiness. Unfortunately for my all pumpkin everything buzz, this is also my husband's busy time at work. This means we play the note-on-the-counter game as a method of communication most nights because we are fast asleep by the time he comes home. It means weekends have gone from family time to just another day (and night) at work. It means my to-do list is so long that it gives me an anxiety attack to even think about so I try to close my eyes and ignore the piles of toys and clutter swallowing my living room floor, or the fact that none of our laundry has been put away since we've moved back into our house, or the fact that my e-mail inbox is exploding and I've never been so behind in Tot School planning ever. Sometimes it's easier just to step outside, shut the door and...breathe. We've been doing a lot of breathing. We've been doing a lot of pushing back bedtime for the sake of sliding down the big slide just one more time. Somehow, for the most part, I've managed to ignore the toys, or the laundry, or the fact that there is anything else needing to be done at all. 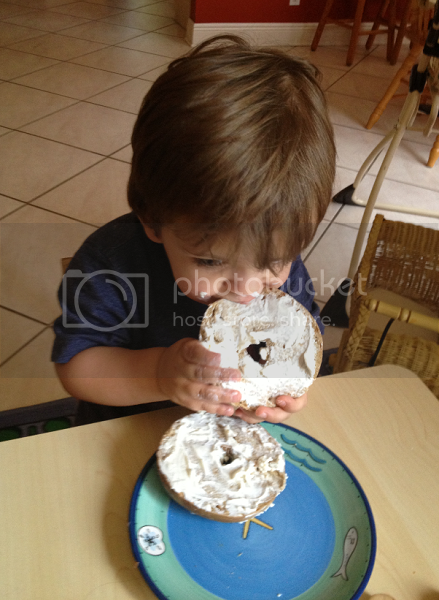 When Ethan was freshly off purees, I created an Ethan's Weekly Eats feature to share all of the healthy, fun recipes that made up his first official meals. As he got older and started eating what we eat instead of specially prepared meals, the feature sort of faded off the face of the planet. For the past few weeks, I've been sharing photos of Ethan's Easy Lunchboxes lunches on Instagram and occasionally people will ask what everything is. 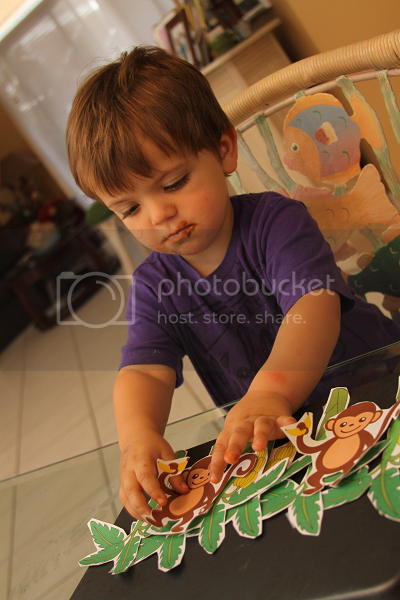 Then, you know, I had the genius idea to bring the feature back only now with Ethan's big boy lunches. 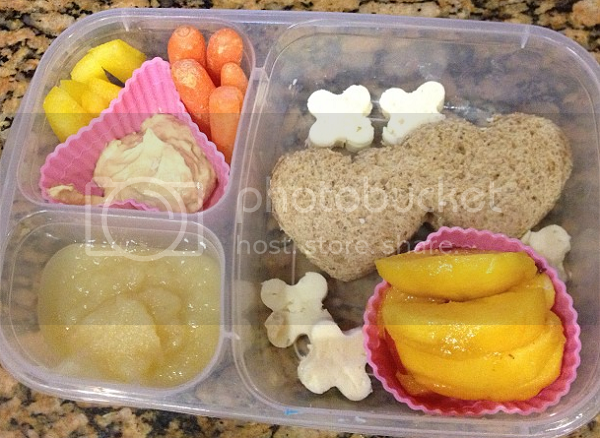 Hummus sandwich, peach slices, cheese, applesauce, hummus with yellow peppers and carrots. 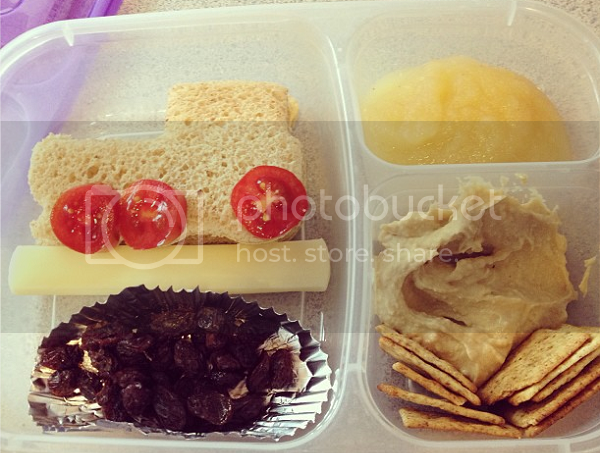 Hummus sandwich with tomatoes, applesauce, string cheese, raisins, whole wheat crackers and hummus. 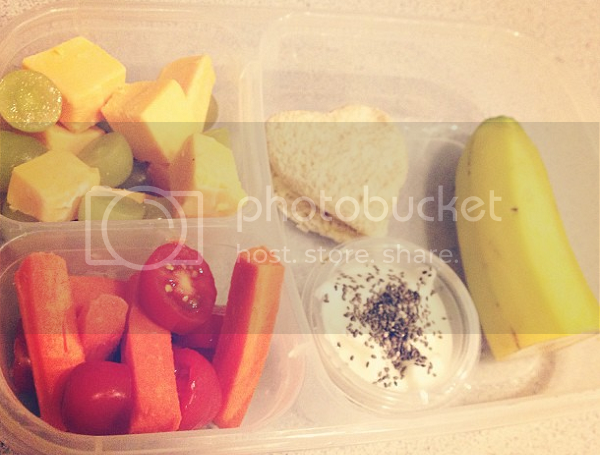 Peanut butter sandwich, banana, yogurt with chia seeds, grapes, cheese, carrots and tomatoes. Ethan had a friend over so there was double the cute lunch this day. 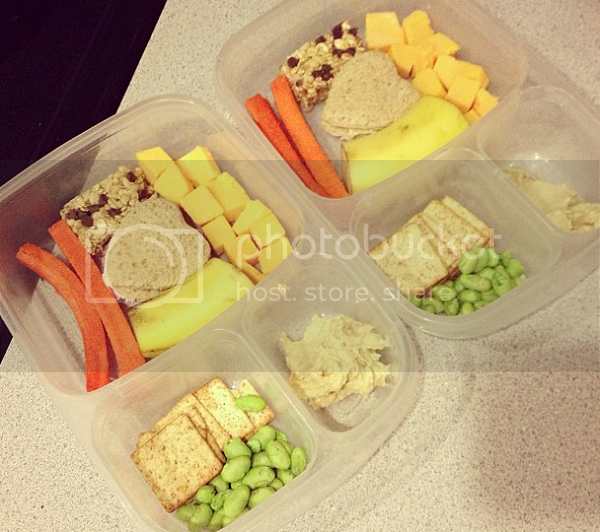 Hummus sandwiches, carrots, banana, cheese, Edamame, crackers, hummus and a Cascadian Farms granola bar half. 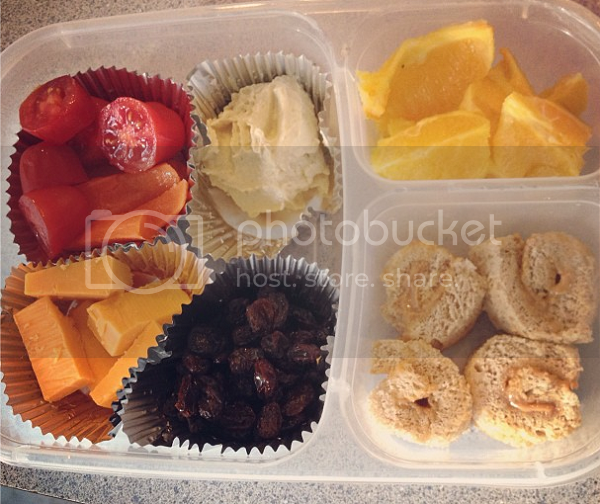 Hummus sandwich roll-ups, orange slices, raisins, cheese, tomatoes and hummus. 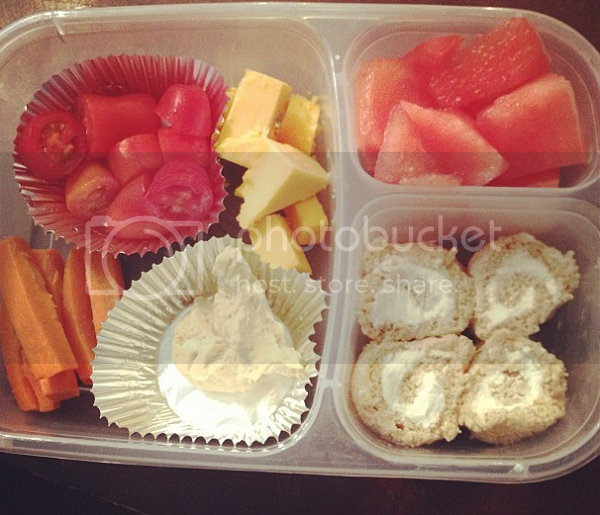 Cream cheese roll-up sandwich, watermelon, hummus, carrots, tomatoes and cheese. As a writer, you need to have thick skin. I admittedly don't -- not even a little bit. Look at me the wrong way and I'm balled up in the corner crying. It's always been my downfall as a writer, putting all of my words and emotions out for the world to comment on and critique as they see fit, knowing that there is little protection to save you from the hypothetical harpoons the world is throwing at you when they don't agree with your words or thoughts. I like to think this blog is an honest portrayal of my life regardless of who likes it and who doesn't. I like to think I'm pretty honest and don't hide the ugly parts for fear of judgment. I mean, it doesn't take much for me to ramble on about how filthy my hair is or acknowledge it's about time I wash it, you know, for the first time in a week. I joke about and embrace the tumbleweeds of cat hair floating across the tile. I fully admit to having gigantic piles of clothing on our couch, futon, hamper, on top of the washer or dryer that can only be rivaled by the piles of dishes in the sink. From where I sit writing this, I am looking out at a floor cluttered with clothing hangers, plastic toy boats, an empty egg carton and a roll of bubble wrap. I post frequent photographs of my child dressed in only a t-shirt, never really wearing pants unless we're out in public, and usually with some kind of food-residue goatee thing going on. There are some people with spotless homes, sinks void of dishes and children who are always perfectly coiffed even at home. Sure, sometimes I make the effort to wake up a few minutes early and run a flat iron over my morning Quiet Riot hair, but usually I've stayed up well past my bedtime planning tot school curriculum or wasting away in front of Roseanne reruns and settle for a messy ponytail (I know -- and I believed myself when I swore I wouldn't succumb to mom bun anymore). This doesn't mean I'm better than those people. And it doesn't mean they're better than me. It doesn't mean I'm more real than they are. It doesn't mean that they're lying when they put their feet up at naptime basking in satisfaction that their home is utterly spotless. It doesn't mean because my life is somehow always a driving force of chaos that anyone who finds themselves smooth sailing through toddler-wrangling is lying. Or fake. Or hiding something from you. The world is not lying to you. Parenthood isn't some giant conspiracy. I've found that my defenses are somehow heightened since becoming a mother. Let's say that I disclose in a woe is me blog entry that my biggest problem with my marriage is my husband's job and the fact it keeps him from us so often. He works long, late nights and we rarely see him. Sometimes I rock my child to sleep as he cries for daddy until his eyes just can't stay open any longer. Sometimes my husband works six days a week and I can't even remember the last time we sat down for a family meal together. I'm feeling sad, and lonely, and really miss my husband, I will write. "How do you think I feel? My husband is deployed and I haven't seen him in over a year," someone will say. "Oh, please, no one has a perfect marriage, there must be secret problems going on," someone will say. "How utterly un-self sufficient you are to rely on a man for happiness," someone will say. Two weeks later I will recount a story about how my husband forgot to buy bread for the third day in a row like he promised he would and it's driving me out of my mind. "I would never eat bread, it's like poison," someone will say. "But it's gluten-free millet and chia bread," my defense mechanism will say. "Oh, you're so fancy, I guess regular bread isn't good enough for you," someone will say. "My husband has Celiac disease," my defense mechanism will say. "My neighbor's cousin's aunt's son's friend has a worse disease, one that is terminal," someone will say. "I knew there were problems in that marriage," someone will say. 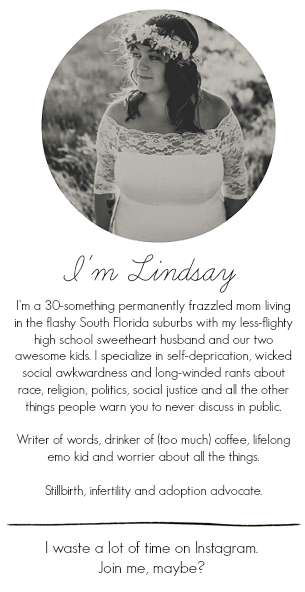 Because motherhood is, in actuality, seventy-five times worse than high school, there are cliques. There are groups and labels and people who just will not like you because your kid is or isn't drinking juice on the playground. There will be a mom watching your two year old peel the organic label off of his plum and insist that she can't be your friend because she doesn't like "organic moms." There will be a mom who will attend your child's birthday party and never talk to you again because she doesn't like "Pinterest moms." There are apparently more subcategories and subcultures of motherhood than there was in high school, and those were confusing enough for me. Like the time in high school this girl told me I "couldn't be" emo because my hair was long, and saw to it to remind me of this every chance she got. Like the time outside of an Alkaline Trio show where she felt the need to walk up to me and ask why I was there, because I was obviously a poser. "Look at you with your long hair, you're such a poser." You guys, motherhood is worse than that. Everyone is in this constant state of labeling and assuming. It's like in our sleep deprived stupor of mothers, we're convinced that the world has been taken over by some massive conspiracy theory in which everyone is trying to make us look or feel bad. I was recently asked if I'm a mainstream parent or an alternative parent and, you guys, I didn't even know how to answer that. I don't even know what that means. I'm a parent. I'm a mom. I'm doing the best that I can in the only way I know how, even if that means finding a disgusting amount of dorky joy in planning Tot School lessons and making batches of homemade playdough in between chugs of espresso. It means that when I'm putting the finishing touches on a sensory bin, I'm honestly not thinking about how much better a parent this makes me than someone who doesn't even know what a sensory bin is. When I'm slicing cucumbers and tomatoes for Ethan's lunch, I'm honestly not thinking about how much better of a parent I am than someone who is slicing deli meat for a sandwich. These ideas never cross my mind until I'm somehow accused of them and I find myself dwelling for far longer than necessary. I find Pinterest fun, and I love turning my little home into a place of creativity and child-led learning. These things are important to me. It doesn't mean I won't look your way in the grocery store if you're all "ain't nobody got time for that" about arts and crafts projects. I'm a mommy. I'm Ethan's mommy. You're a mommy. Maybe you have an Ethan, too ("did you know it's one of the most popular names in 2012?" - says everyone I run into ever). It is the greatest title and role I could have ever imagined taking on and it isn't always easy. Sometimes I'm way too worn down to even answer an e-mail that has been sitting in my inbox for three days, or walk to the mailbox to check the mail, or blow dry my hair so it doesn't dry all matted and mangled. These things are just part of my motherhood gig, like the mom you run into with the perfectly curled hair. She's just existing, and living, and being -- and she's probably not hiding anything from you. And, really, I promise -- neither am I. Life is short. Live it in a way that makes you happy. 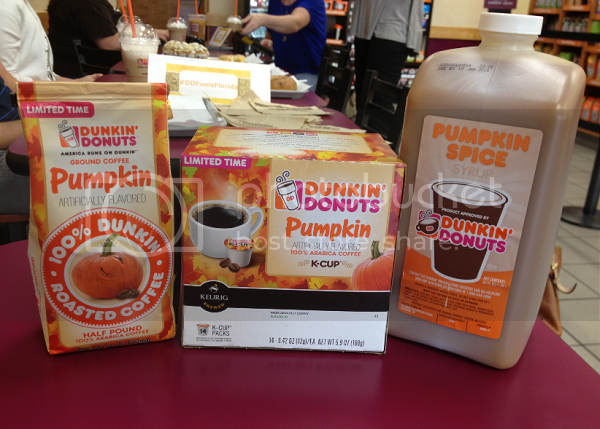 Dunkin Donuts is on the pumpkin bandwagon and I like it. Here is where I hide my face in shame and confess to making pumpkin stuffed shells, pumpkin baked ziti and pumpkin muffins over the course of the last two days, but I can't help it. I am a sucker for pumpkin season. My husband is a big Keurig fan whereas I am all about the espresso. I was interested to learn right off the bat that Dunkin Donuts sells ground coffee, K-Cups and flavor syrup. (You mean I can actually use the fancy, schmancy espresso machine we got our for wedding and make my own pumpkin spice latte?! Mind, blown!) About four seconds after I walked in the door, I was handed one of Dunkin's seasonal Pumpkin Spice Coolattas. From the first sip, it spoke right to my heart. I hadn't caffeinated myself prior to this event, mostly because Ethan insisted upon going on not enough sleep (what else is new?) and used the two seconds I was in the bathroom as prime opportunity to pour milk all over my couch. I spent all morning watching YouTube videos on how to clean milk out of a sofa while wishing I had coffee. Four seconds into this event and, bam, there it was. Dunkin people are good people. I had no idea before walking into this event that Dunkin Donuts carried actual food, but they do have quite an extensive menu these days. Because when in Boca your Jewish roots hug your legs extra tight, I was shvitzing at the sight of Dunkin's new roast beef deli sandwich with melted cheese on a pretzel roll and couldn't not try it. (If you're wondering where I stand on the pretzel roll debacle, I am so very for it.) It didn't disappoint, and was just as yummy as the same sandwich served at an authentic deli. Certain things remind you of home -- deli food is that for me. Dunkin Donuts is currently offering several bakery sandwiches on their menu, including wraps. Certain sandwiches are specific to your location and I attended this Dunkin event in a county other than the one I live in, but I was still impressed. Let's just say Dunkin Donuts just got another point in their corner. Twenty minutes into the event and I more or less forgot about the milk fermenting in my couch cushions. Shakira's hips don't lie and neither do my eyebags, so I was super excited to start the coffee sampling. 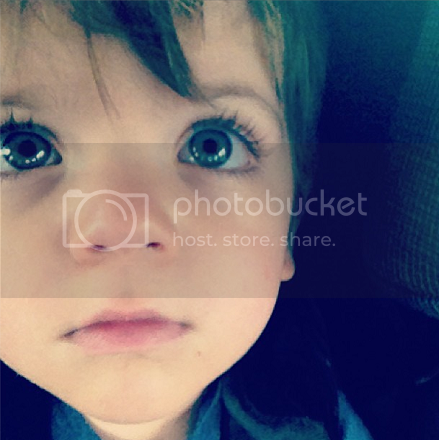 (Let me just point out that Melissa of The Eyes Of A Boy just had her second baby less than two weeks ago. It's been two years since I had mine and I'm still waiting to look that put together!) I'm a pretty harsh coffee critic. I was ready to throwdown for Team Starbucks until I was handed one of Dunkin's new iced pumpkin white chocolate mocha drinks and, well, it was delicious. It was the perfect blend of pumpkin flavor and white chocolate paired with some pretty awesome espresso. It was so delicious that guess where I stopped for coffee this morning? Hint: there's a medium iced no-whip Dunkin Donuts pumpkin white mocha sitting on my dining room table right now. ...we got to try Dunkin's pumpkin pie donut. I know, I know. The blog is filled with healthy recipes and a desire to single-handedly destroy all things unhealthy. But as I mentioned, I spent the morning scrubbing milk out of my couch on virtually no sleep and what better time to hang out with Melissa and talk about how we met in exercise class then over donuts, right? And sometimes, believe me, you've got to splurge. This pumpkin pie donut was worth every inch of splurge points. You guys, it's a donut. With pumpkin pie in the middle. 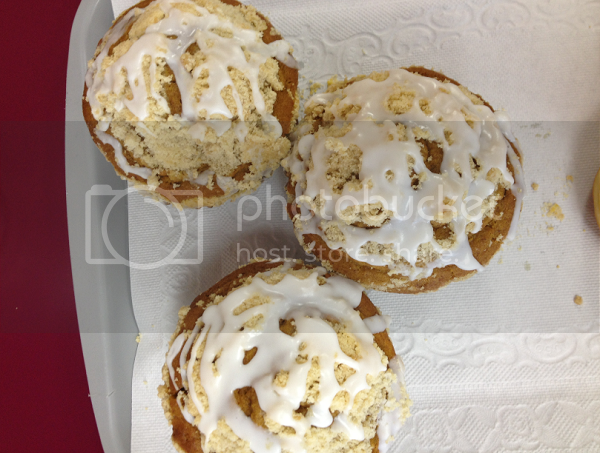 I'm still undecided which I liked better, the pumpkin pie donut or Dunkin's beyond fluffy pumpkin spiced muffins. 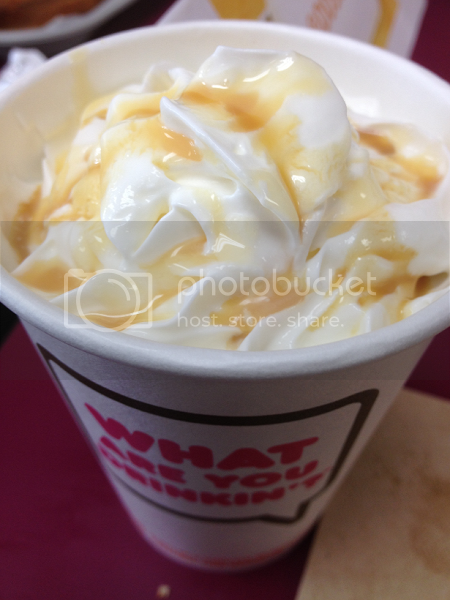 Dunkin Donuts have a pretty awesome app. I'm a little late to the "app party" because I'm still trying to figure out how to fully work my iPhone and welcome myself to 2013 in a not-too-untimely manner, but Dunkin's app is pretty cool. When you put in your location, it greets you with great coupons and special offers. It also allows you to swipe your phone as a method of payment instead of remembering to carry a gift card with you which is a really great feature, especially if you're trying to give yourself a coffee budget to stick to. 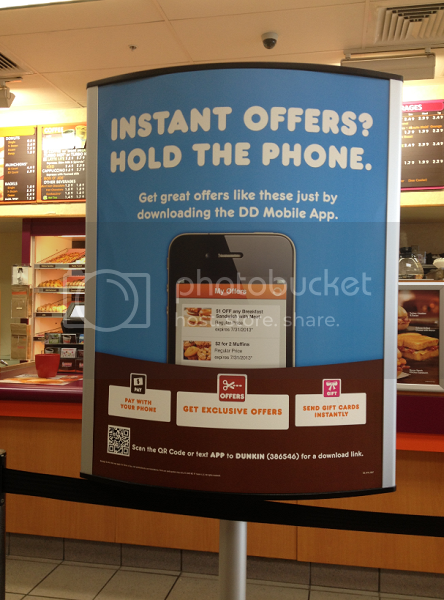 Through Dunkin's app, you're also able to send your friends Dunkin Donuts gift cards directly. Know a friend is having a bad day? Rough night with a sleepless kiddo? Send them a Dunkin gift card, give them the gift of coffee. I thought this was pretty cool! Dunkin Donuts is also ready to celebrate National Coffee Day on the 29th, and that's one holiday that I can get behind. Download their app, check your offers tab and on the 29th, you'll be able to pick up a free hot or iced coffee in celebration of what may or may not be the greatest holiday ever! But for such a grand holiday, the offers don't just stop at one free coffee. Nope. On the 28th and 29th, you'll be able to pick up a 16-ounce bag of Dunkin's packaged coffee for only $5.99. 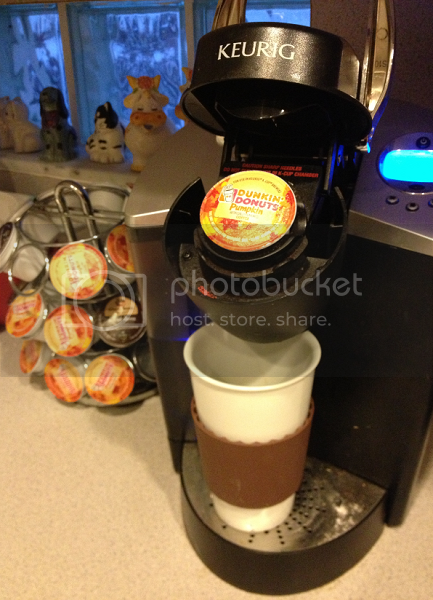 Are you a Keurig person like my husband? Dunkin didn't forget about you. For those two days only, you can come in and pick up a 14-count box of Dunkin K-Cups for only $7.99! This morning I had to be at the city's aquatic center at 6:30 a.m. to sign Ethan up for the next session of swim lessons. My cats were loud and woke Ethan up even earlier than usual. My husband had to leave at seven this morning for a weekly business meeting. We are a mess and very much running on Dunkin. My aforementioned iced pumpkin white mocha is seeing me through this morning and my husband? Yeah, he's brewing some pumpkin Dunkin K-Cups. What's Dunkin's motto again? The Joly family runs on Dunkin? Or America, same thing. 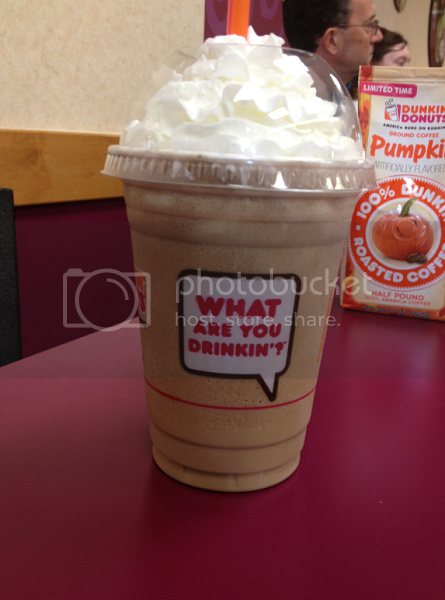 I have to say that I'm completely impressed by Dunkin Donuts' coffee and new fall menu. The more "all pumpkin everything" I can add into my life, the better. My only issue is that coffee knowledge and quality seems to vary by store. At 6:15 this morning, the last thing I wanted to do was try to explain to a Dunkin Donuts employee what I was trying to order when I ordered one of the drinks off their new fall menu that apparently no one had yet showed her how to make. Still, I think I can get into this Dunkin thing. The proximity of a drive-through location to my house is an added bonus. Oh, one word of advice from the little guy? This little boy of mine is as sweet as they come. 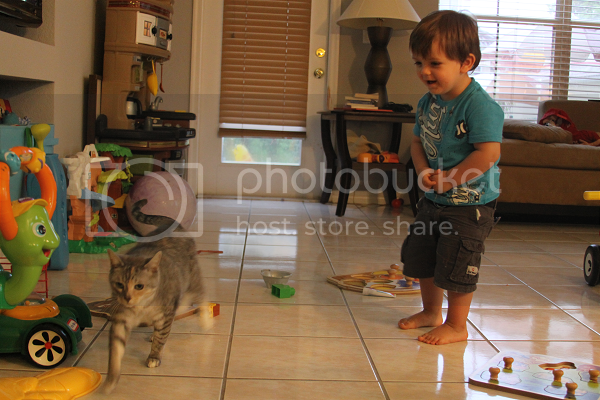 He is the boy hiding behind my legs, the one shielding his eyes from a stranger's glance in the grocery store aisles. He is the one with pursed lips pretending he forgot how to talk when someone other than myself speaks to him, the one who can sit for hours creating masterpieces with fingerpaint and washable markers. 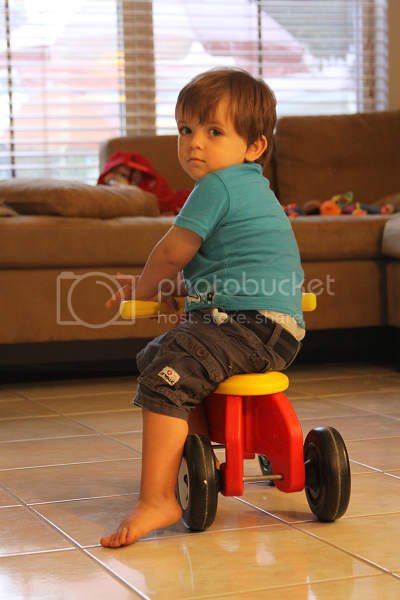 He is the one who watches from afar at the other children roughhousing and running around the playground, the one who reaches for my hand or the comfort of my shirt when he hears the uproarious shouting from a rowdy group of older children. I love this about him. I love his sweetness, his pensiveness. I love his artistic eye and the way we can still lay on the futon in our home office listening to Iron and Wine and letting the music calm us as we cuddle. I love his gentle spirit. My husband and I always say with a sad, half-joking smile that one day someone will come along and break his heart; one day someone will destroy him to the point of scalloped-paged journals filled with poorly written teenage prose. I know because that was me. "This is your payback," my mother says, as Ethan clings to her jeans to avoid saying hello to a stranger. It is a payback I am grateful to accept. I'm grateful for the sound of paintbrush strokes on construction paper, the way he has secrets and jokes that he likes to whisper to only me. 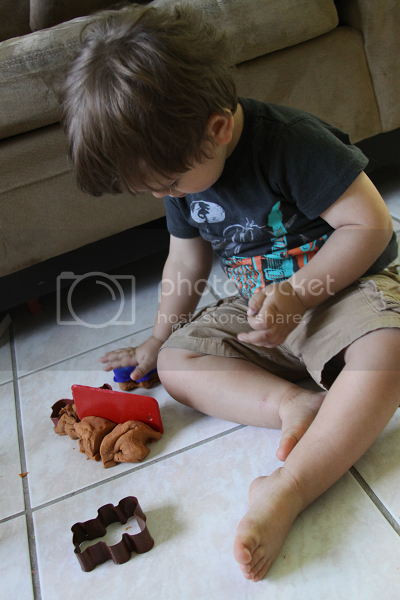 At twenty-seven months, I am watching him challenge himself with his shyness. I am watching him take chances. When his My Gym teacher calls his name for Red Rover, he will always hesitate but most times he will still run. While the children are all lined up on the ledge at swim nervously waiting the big jump in, it is Ethan chanting "One! Two! Three! UNDER!" at the top of his lungs. I love watching his confidence grow. 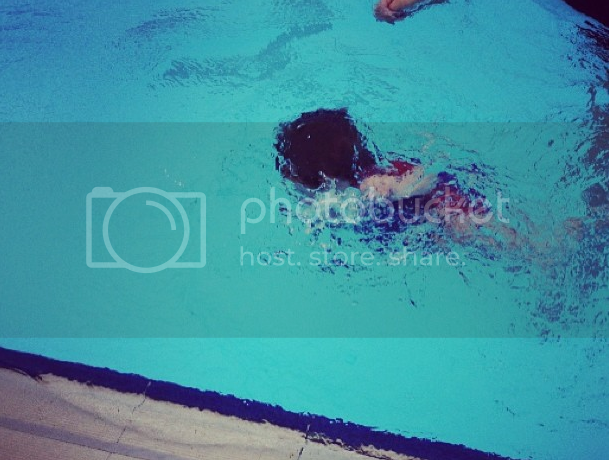 I love watching the way his fingers slip from the edge and he throws himself into and under the water, his messy hair a blur underneath the blue water. It is him growing but not just physically, and not just in the I can't believe he's not my baby anymore sense. But him growing into himself, into who he is; discovering who he is and running with it. Reveling in it. Smiling that sweet, innocent smile as he declares he cannot go to bed because an elephant might visit and, of course, he wants to meet said elephant. "Grandma's doggie drives Ethan nuts," he declares at random while strolling through Target. "Ethan mommy's baby. Mommy so proud of Ethan," he declares at random while driving home from our mommy and me class. He is two and understands the world in a way I want to remember how to understand it myself, a way that only children can. For more information on sponsoring You Are The Roots, check out my new advertise section! 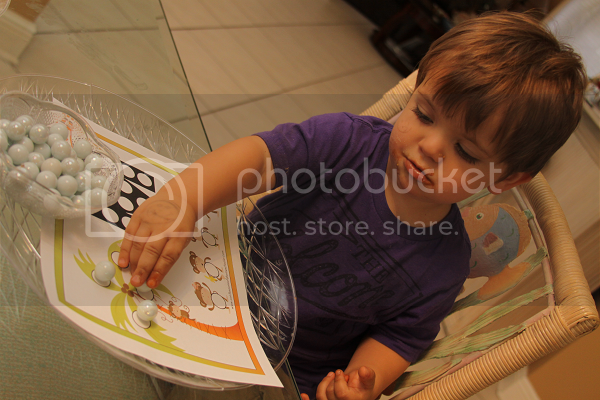 Ethan and I love Tickle Me Plant! We grew our first one last December during green week in tot school and loved it so much we included them in his party favor bags at his 2nd birthday party! - It grows all year indoors (and outdoors in the summer). If you're facing some cool temperatures, no need to worry -- your Tickle Me Plant will still grow indoors. - It's also guaranteed to grow! This was reassuring for me who can't grow anything, but still managed to grow one sweet Tickle Me Plant. - Each seed packet contains 10-20 seeds. This means you can grow many Tickle Me Plants with your seed packet! 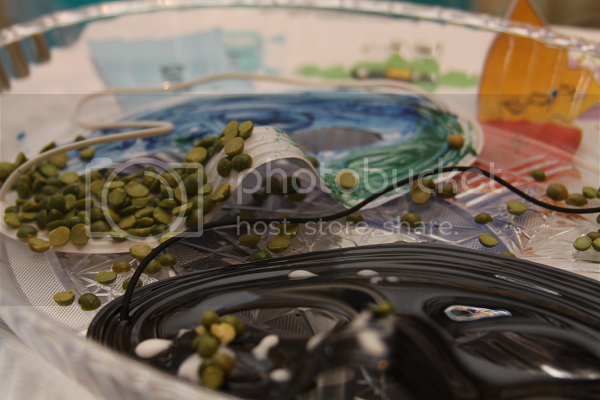 - These are great for classroom experiments or curious little minds. Do certain sounds make the Tickle Me Plant move? How about music? 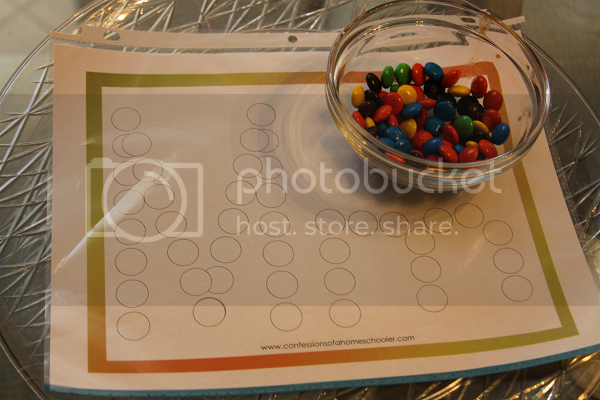 There are so many awesome experiments for all ages that can be done with your Tickle Me Plant! Tickle Me Plant not only sells seed packets but some great growing kits, sets and books, too! 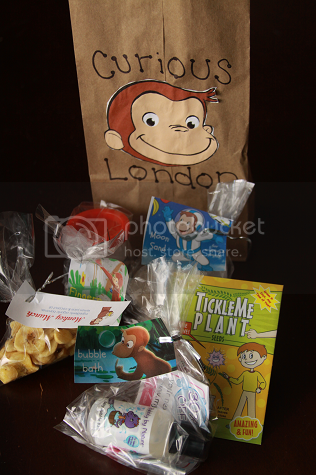 Receive a free Ten TickleMe Plant Activities and Fun Experiment Ideas card with every order! Visit Tickle Me Plant's website for more information and check out their online store to start shopping! I'm tired of complaining about how hot it is. I'm just going to zone out and dive headfirst into the pumpkin madness and pretend it's fall. Step one was this pumpkin spice playdough. Actually, no, step one was the pumpkin pancakes for breakfast this morning. 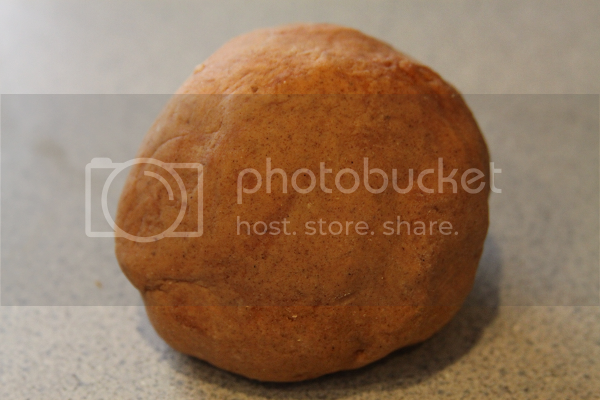 Step two would be this pumpkin spice playdough. It smells absolutely amazing. 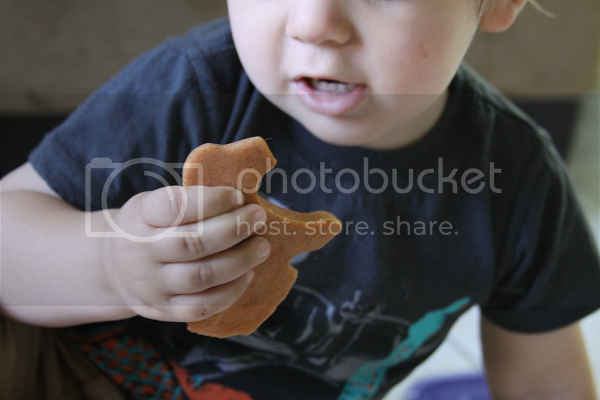 I initially worried about Ethan wanting to eat it, but I don't think he's the one I need to worry about. My husband already had to talk me down once from just trying a teeny-tiny bit. 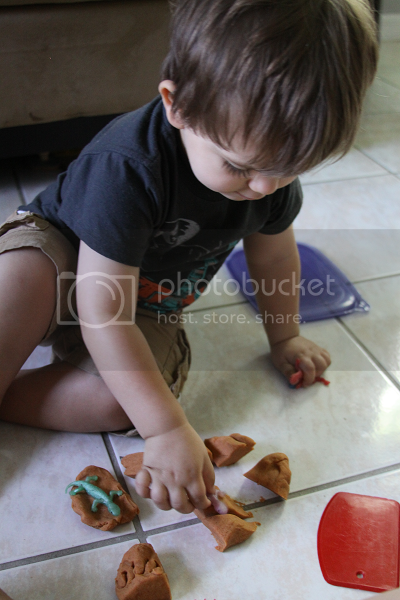 Pumpkin insanity aside, this playdough is awesome and such a sensory delight! 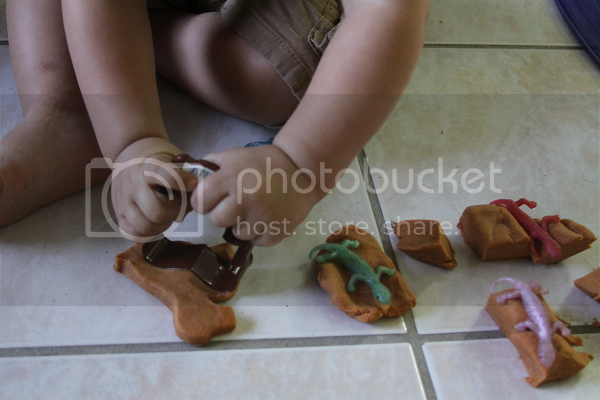 I gave Ethan a big ball of it with some cookie cutters and a batter scraper (more commonly referred to as a "playdough cutter" in our house) and he went nuts making so many awesome things. For this recipe, you'll need: 1c flour, 1/2c salt, 1c water, 1 tbsp vegetable oil, 1/2 tsp vanilla extract, 3 teaspoons cream of tartar, cloves, cinnamon, pumpkin pie spice and food coloring (we mixed red and yellow since I didn't have any straight orange). 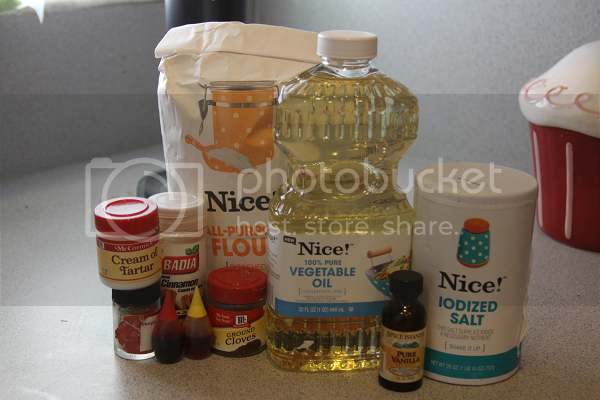 The Walgreens "Nice" brand of oils, flours, etc. 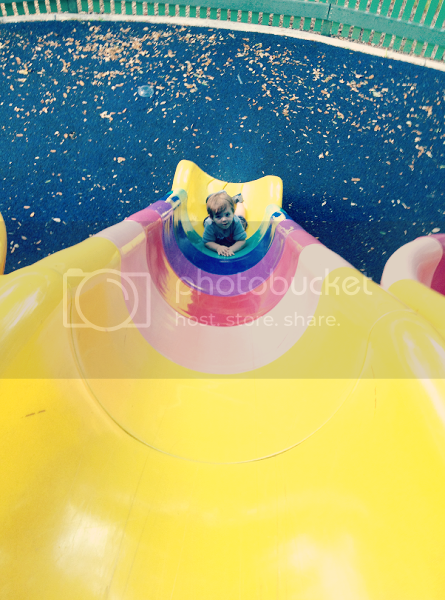 are my favorite for play purposes. You can't beat the price and the sizes are better than the cheap brands at the dollar store. For the spices, I didn't measure -- I just kind of based it off how delicious it smelled. Same for the food coloring -- I just kept mixing until it was the desired shade of orange. First, you mix all the dry ingredients together in a saucepan. From there, add the liquid ingredients and combine. Heat the stove to medium heat and continue to stir the playdough together for 4-5 minutes until it stiffens. 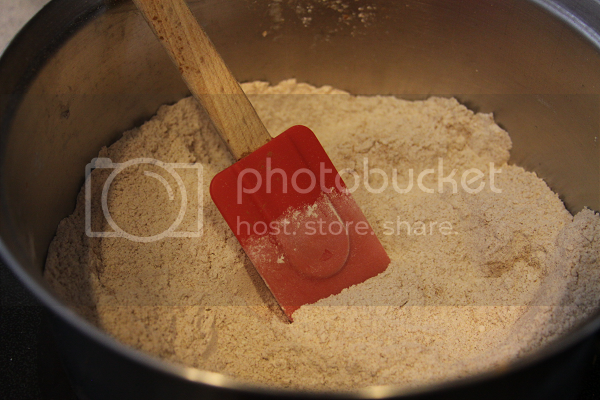 After the playdough is thick enough to ball together, place it onto a floured surface and knead it until smooth. We are finally back in our house after our great house disaster. It feels good to be back. My husband is busy dutifully trying to fix up our house and put things back in their place while I'm busy, of course, planning and prepping Tot School. Ethan has made it clear he's missed his Tot School classroom and we're ready to change up activities weekly again instead of bi-weekly. Even though we were displaced for a few weeks, I made sure to cling to as much normalcy as possible, even if that meant setting up Tot School on my mom's dining room table -- which I did. M week went on and while it was different than our classroom, it was still a pretty great two weeks. 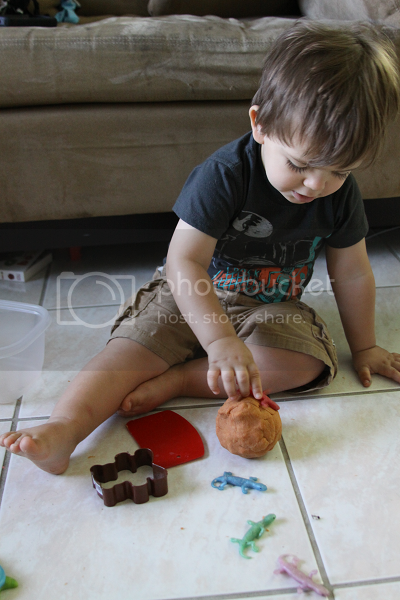 I hijacked a few of my mom's baking dishes to ensure Ethan's makeshift Tot School included his usual favorite activity: the magnet board. It's been really cool watching his vocabulary grow and the way he uses his magnet board words in everyday sentences (not that any were particularly challenging this week). Oh, the M&M tray. This was a huge success and Ethan loved it. 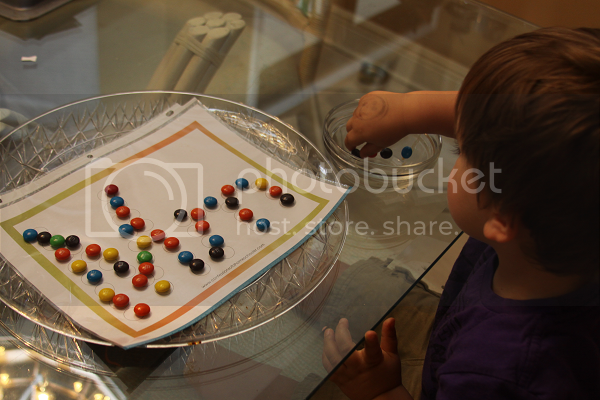 It was hilarious to watch him do this tray because as determined as he was, he would almost wince when having to put the M&M onto the paper and not in his mouth. 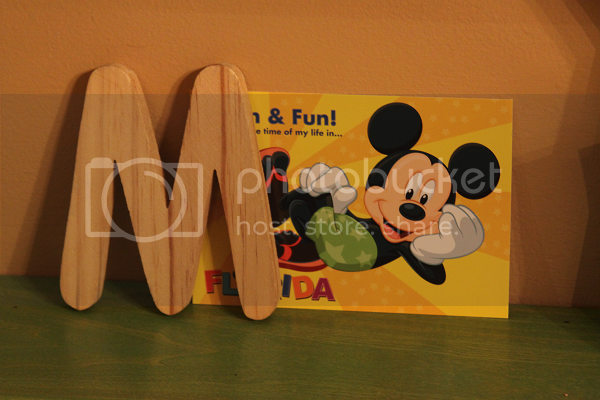 He slipped up a couple of times and after smiling one chocolatey smile would continue working at his letter M printable. Ethan went from absolutely hating tracing to requesting it every week in Tot School. 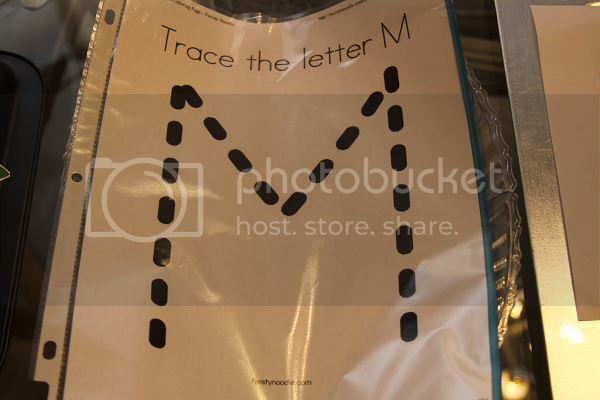 He's getting really good and being able to stay on the lines to trace the letter. 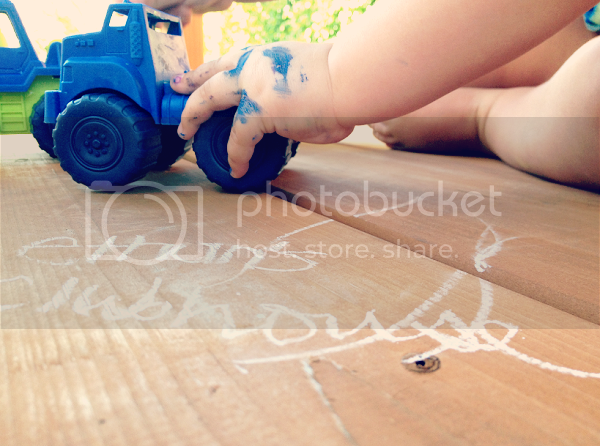 Of course, when he finishes tracing the letter, he's happy to scribble all over the page. Dry erase markers were always my favorite school supply, too. This one was a huge hit. I found some stock images of cute little monsters and added a shape to each one using MS Paint. (My mom's computer isn't exactly high tech, but I'll take what I can get.) 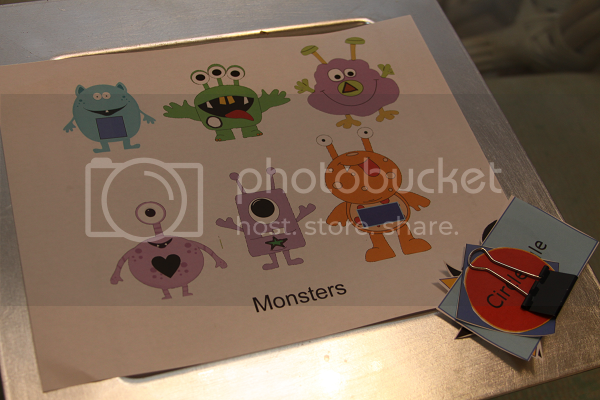 I printed out little cards with the corresponding shapes and Ethan got to match those with the monster sporting that same shape. He already knows his basic shapes but still really enjoyed this activity and would be really proud each time he completed it. He did have a little trouble with the square and rectangle at first but nailed it pretty quickly. 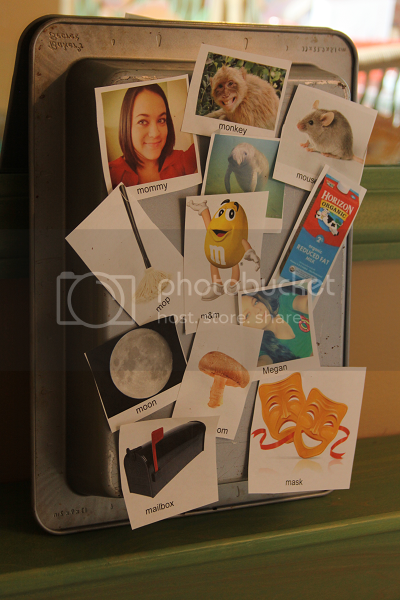 This was another great printable from Confessions Of A Homeschooler. 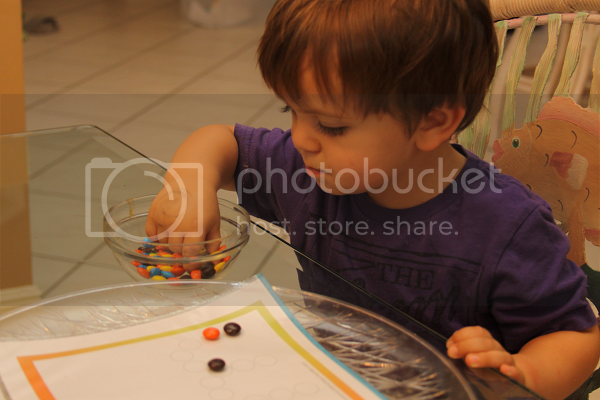 We used marbles to place in the empty circles since it was M week and I was lucky enough to find a big bag of marbles at the dollar store (score!). 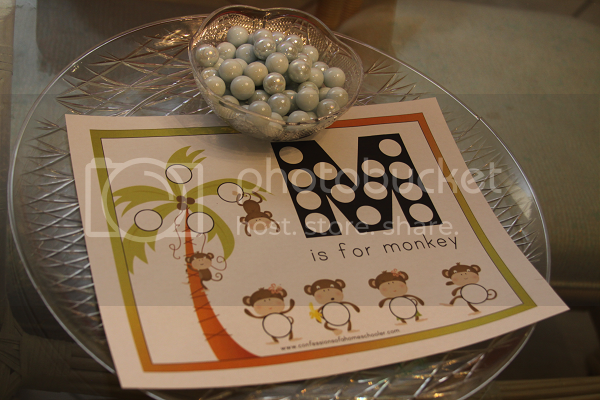 Ethan really enjoyed this activity until, towards the end of our week, he got a hold of some glue and glued down the marbles to the printable. It was a beautiful art piece, at the very least! 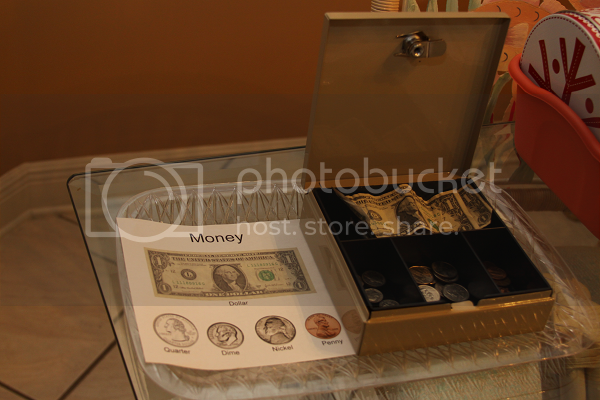 This tray was for Ethan to get a closer look at money. He had no trouble with a dollar or a penny ("the brown money") but the others got him a little mixed up. 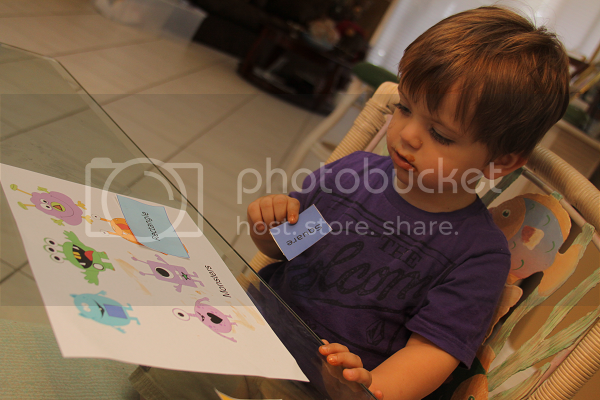 He enjoyed sorting the money and studying them to place them in the correct spot on the paper, but this was his least favorite activity of them all. 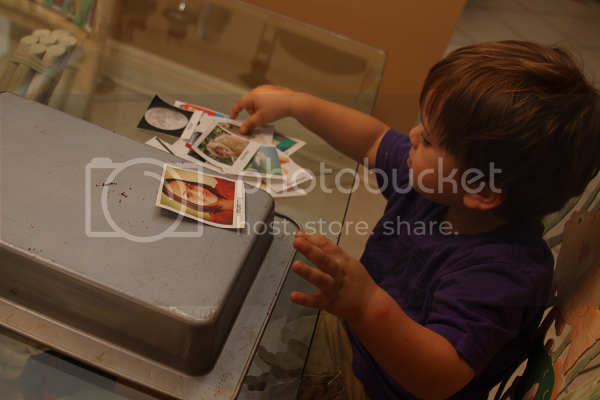 This was just a fun one for Ethan to play with magnets. 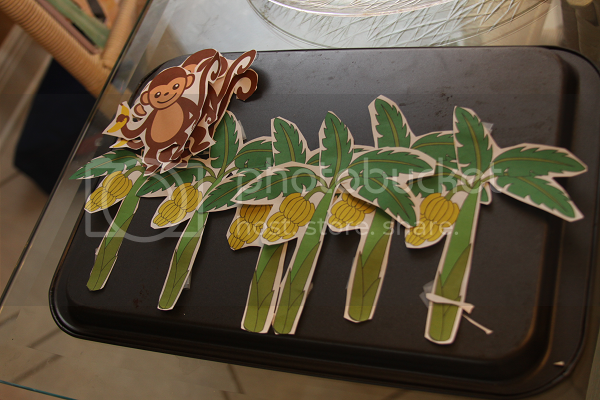 I gave him some monkeys and some banana trees and he had a blast playing with the monkeys, especially making them swing upside down on the trees. 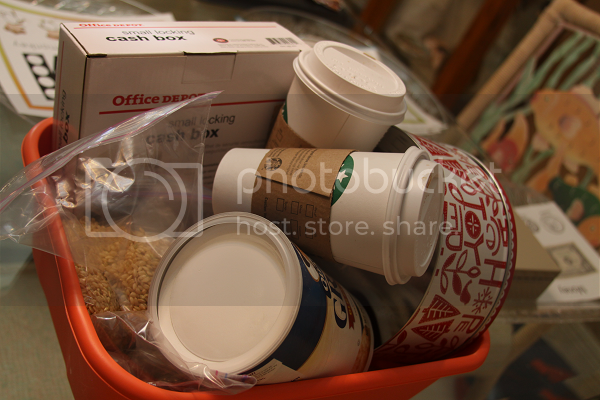 I put together a big bin of reusable items (empty coffee cups, containers, boxes, toilet paper rolls, rice, dried beans, rubberbands) that we could turn into musical instruments. Ethan loved scooping the rice and beans into the coffee cups to make shakers and we enjoyed listening to the different sounds they both ended up making. He filled the toilet paper roll with little bells and we used aluminum foil to hold everything inside. 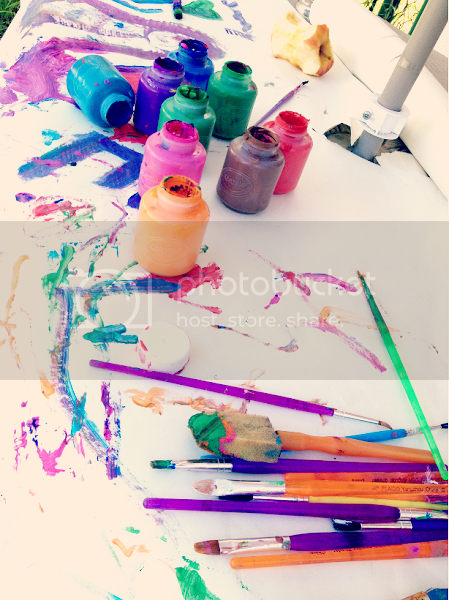 Once his instruments were made, Ethan went to down painting and decorating them. When they were dry, we put on some music and had fun playing along with our new instruments. I found a bag of plastic masks for a dollar at Wal-Mart and Ethan had fun gluing things onto them and painting them. However, he didn't like wearing them -- so once decorated, they didn't get much use. 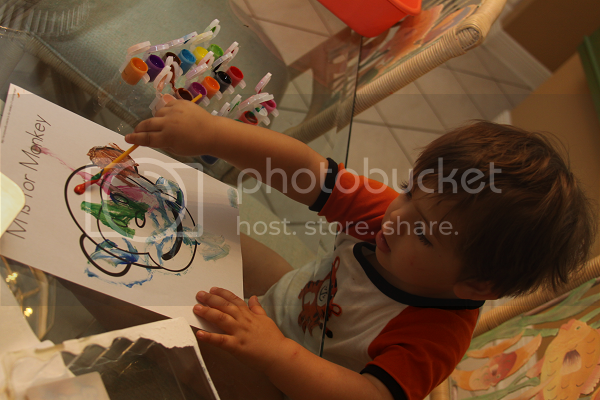 I also had printed some Twisty Noodle printables and Ethan had a blast painting. 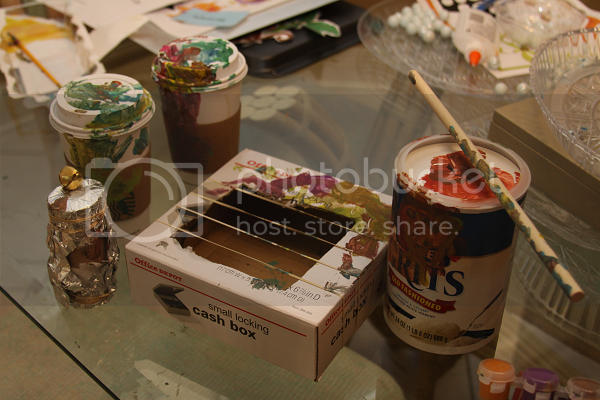 We definitely missed all of our fun, messy arts and crafts projects and I can't wait to kick this up a notch for upcoming N week!